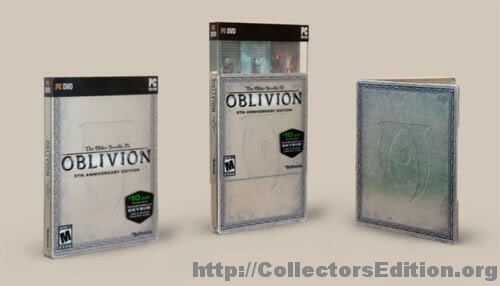 Recently announced is a 5th AnniversaryÂ* Edition for The Elder Scrolls IV: Oblivion. Coming in a 3-disc SteelBook case and available on June 28th in the USA. Visit The Russian Bear's homepage!
. :Collection Pics:. .:Collector Edition Forum:. .:Collection Lists:.